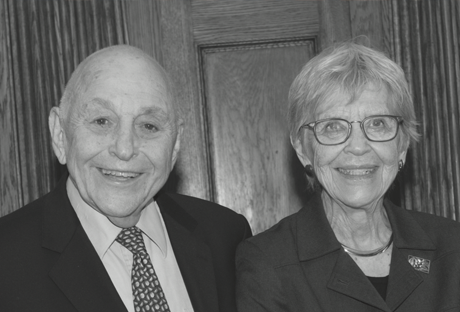 Syracuse University’s Martin J. Whitman School of Management will observe the 15th Whitman Day April 6, an annual celebration of Martin J. Whitman, founder and chairman of the High Conviction Fund, and his wife, Lois, for their tremendous generosity and commitment to business education and Syracuse University. The day highlights Mr. Whitman’s contributions to the business world, provides a forum by innovators in finance and showcases exceptional Whitman students. Shah joined Brookfield in 2002 and has held a variety of senior finance roles across the organization. In 2011, he became the chief financial officer of Brookfield Renewable Partners and since that time has been instrumental in growing the platform into a global business diversified across multiple technologies. He is on the board of the Ryerson University Brookfield Institute for Innovation and Entrepreneurship. Shah holds a bachelor of commerce degree from the University of Toronto. He is a member of the Chartered Professional Accountants of Canada. Analysts in the Orange Value Fund Program hosted at the Whitman School’s Ballentine Investment Institute at Syracuse University have managed the Orange Value Fund, LLC since its creation in 2006. The program’s first academic class of advisors began during the 2007-08 academic year. What started as a $1.1 million fund has grown to $5.5 million today. Nearly 100 finance/accounting majors have participated in the two-year analyst program, which combines academic, research, money management and career components under the leadership of Fernando Diz, The Martin J. Whitman Professor of Finance at the Whitman School, who is also the Managing Director of the Fund. On Whitman Day 2018, OVF alumni have been invited to return to campus to celebrate the 10-year milestone; for many it will be their first trip back to campus. Mr. Whitman, as well as notable finance executives will be on hand to celebrate and meet with current students. For more information about the OVF, its program and investment approach, visit the website. After earning a bachelor’s degree from SU in 1949, Whitman began his career as an analyst at Shearson Hammill before working for the Rosenwald family, of Sears Roebuck fortune, where he developed a penchant for superior returns and an aversion to investment risk. He earned a master’s degree in economics from The New School for Social Research (now New School University) in New York City. Whitman ventured out on his own in 1974 and founded M.J. Whitman LLC, a full-service broker-dealer. Ten years later, he participated in a takeover of Equity Strategies, an open-end investment company, and became its CEO and president. In 1990, Whitman started Third Avenue Value Fund. Today, Third Avenue Management manages more than $4 billion in assets for private and institutional clients. Whitman also shares his special brand of investing with the greater financial community in the industry classics “The Aggressive Conservative Investor,” which he co-authored with Martin Shubik, and “Value Investing—A Balanced Approach.” He has taught as an adjunct professor at the Yale University School of Management and at Syracuse University’s School of Management, which today proudly bears his name.